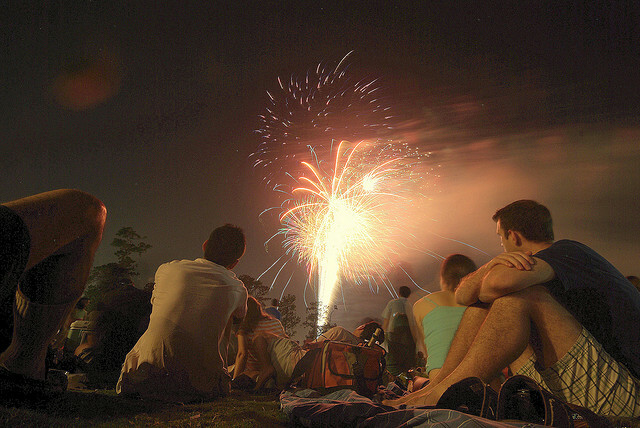 Want to find some of the best events for you and your family this Independence Day? Perfect. You are in the right place. We’ve done the work for you and did some research on what we think are the top fourth of July events in Southern California, specifically the LA region. Grand Park: Do you like free things? You will love this event then. The only thing you need to pay for is parking, which really, this is LA, so no one is really surprised. But for almost free, you can enjoy a four-block block party which involves a rooftop fireworks display with pyrotechnics special effects. Be sure to get there by 4 p.m. so you can enjoy the live music. 9:30 is the light show. Located at 200 N Grand Avenue on all four blocks in downtown Los Angeles. AmericaFest at the Rose Bowl: If you’re looking for the best of the best, then you need to go and see one of the largest fireworks displays in Southern California, which is at the Rose Bowl Stadium in Pasadena. General admission is $13, $25 reserved, and $30 premium, and don’t forget about parking, which is $20. Jazz and Blues Festival in Leimert Park: A free event for the whole family! Adults can enjoy quality jazz and blues music, while the kids participate in arts and crafts and face painting. Everyone will love the delicious food and free watermelon! Located at Vision Theatre back lot, 3341 W 43rd Place. Westchester 4th of July Parade: Floats, marching bands, what’s not to love? Best part? It’s free! With over 1,000 participants and 5,000 spectators, this annual parade hosted by LAX Coastal Area Chamber of Commerce is sure to blow you away. Parade will begin at Loyola Blvd, in 7000 W Manchester Blvd, and go to Loyola Marymount University. BBQ at the Aquarium of the Pacific: It’s as amazing as it sounds. Check out the aquarium during the day then enjoy a BBQ buffet for dinner. You will also be able to take a peek at the fireworks show put on by the Queen Mary. Price for both tickets to the aquarium and the dinner is $48 for adults and $20 for children. Be sure to make your reservations quick if you’re planning to attend their dinner, as seats fill up fast. Located at 320 Golden Shore at the Aquarium in Long Beach. BBQ begins at 6 pm to 8 pm and the Aquarium opens at 9 am and closes at 10 pm.